I’ve been meaning to talk to you for a while now. I would say I can’t imagine what you are going through, but that’s not true. I know exactly what you’re doing through. There are some things I’ve been wanting to share with you. I need you to know that what you are feeling is normal. It is tough being a pitcher, I don’t care who you are. You are gong to cry, you are going to laugh, you are going to fail, you are going to succeed. ALL of it is a part of being a pitcher – not just the good moments. The pressure you are facing on a daily basis is something that most of your friends will never go through. It is something that makes you special, and it is something that makes you remarkable. If you haven’t already, you are going to have moments where you feel completely isolated and alone. But it’s in those moments, where I need you BELIEVING in the opposite – that you are never alone. At the same time you are feeling sadness and frustration, there is another pitcher somewhere out there feeling the exact same way as you. We have all been there. Everything you have felt and everything that you have gone through, is totally normal, and I can tell you without hesitation that someone before you has already gone through it. We’re all in this together…. Dear pitcher, the biggest thing I need you to understand before I can tell you anything else is you were born to believe in yourself. That is where it all starts. Your journey of pitching never really starts to feel enjoyable until you have a glimpse into this inner belief. This one thing is THE key to you having success when pitching, really no matter what age you are. YOU have to believe in yourself before anyone else can. SEARCH for your belief. WORK for your belief. KNOW that your belief will come. Easier said than done sometimes, trust me, I know…. Dear pitcher, I know some days you will want to cry – over not winning, over giving up a homerun, over not being able to make an adjustment, and maybe you’ll cry because you worked so hard, but you feel like you’ve gone no where. Your frustrations will start to build so much that tears may start to form in your eyes – fight them off and stay strong. The best place to show that emotion is in your own home, try your very, very hardest not to do it at the field – even though I know sometimes it can be hard. Other pitchers have cried before you, and sometimes it feels good just to let it out. Dear pitcher, I can tell you that there will be days you are going to want to quit. Actually, there might be more than one of them. However angry and upset you are feeling, you are not alone. We’ve all been there. Being a pitcher is one of the hardest things you will ever try. It will test you and it will push you so much to the point where you feel like you can’t go any further with it. During those times, take a step back, take some time off if you can, and listen to where your heart is directing you after you get a few good nights sleep. It’s amazing how time is able to heal you and make the thoughts in your head more clear. Dear pitcher, know that every single day, and I mean every day, you are getting better – even on the days you want to quit. It doesn’t matter if you just gave up the game winning homerun or if you struck out 15 in a game. There is always something to learn, and at the end of every day, you are progressing and getting better IF you are willing to learn through the “bad” days and the “good.” You will feel both every single time you go to pitch…and you are not alone. Dear pitcher, you are never ever, ever going to be perfect. I know you want to be so badly. I know that you expect it of yourself, but no one else expects it of you. One of the hardest feelings to overcome is not feeling like you’re letting your teammates, parents and coaches down. It’s in those times where you need to remember that this is a team sport. I know that you want to be perfect, especially because you worked so hard at practice and at pitching lessons, but, perfection will never happen at any age or any level. You are not alone that you want to BE perfect, and you are not alone that you won’t ever be perfect. It’s ok to strive for perfection, it will motivate you, but don’t EXPECT to be perfect, it will destroy you. Dear pitcher, this is a tough to hear, but there will be someone or some people who might say bad things about your skills as a pitcher. You are not alone. If you are considered the “best” pitcher, there will be someone telling you why you can’t make it. If you are not considered one of the “best” pitchers, there will be someone giving your opinion of why you’ll never make it. If YOU believe in YOU, that’s WHY you’ll make it. I want you to hear me clear when I tell you this, but their opinion does not matter. It just doesn’t. People, for some reason, just like to be negative. It’s your choice whether you listen to them or not. Every time, choose not to. Allow your belief in yourself to be greater than any outside noise you may hear. Don’t let it get to you. Dear pitcher, your parents are always on your side. Your parents truly are your biggest supporters. You will have moments where you don’t want to hear what they have to say. You have two choices: You can either listen anyway, or you can ask for some time alone – you have every right to do so. I am not telling you or condoning doing this every time, but I totally get it. There are those moments where you just want to be alone in your own thoughts. Your parents just care so much about you and with everything that they do and say, it is FOR YOU to HELP YOU. Often times, your mom and/or dad can be your best pitching coach outside of your lessons. Allow them to help you as much as you possibly can. You are not the only pitcher in the world going through this struggle with your parents. Learn to work with them instead of against them. You are not alone. Dear pitcher, you do not HAVE to be a pitcher. You should never feel like you HAVE to pitch, you should WANT to pitch. Being a pitcher truly is privilege, but it’s not something everyone wants to do deep down. I know there are players out there who have probably felt like it’s something their parents wanted them to do more than they actually wanted to do it. You’re not alone. Find something you full enjoy doing. Whatever it is – do it with all of your heart and have the courage to tell your parents and coaches that pitching is not for you. Dear pitcher, trust your gut. You might not know what this means yet, and it’s ok…you soon will. Your body and mind is constantly talking to you. Can you hear it? Start paying attention to what your gut instinct is telling you. Don’t ignore that feeling in your stomach – it’s telling you something. Dear pitcher, through all of your ups, stay humble, no matter what. Let others compliment you if it presents itself. You earned it, but you don’t need to tell others how good you are – your play will speak for itself. Also, when you have good games, remember to always credit your teammates – you are never playing the game by yourself. Don’t assume they are going to make plays for you, show gratitude towards them always. Every game tell your catcher good job and thank her for how hard she worked behind the plate. Dear pitcher, remember this phrase – there’s no win in comparison. Every single pitcher is a different type of pitcher. It can be easy to be jealous of someone because they throw harder or have a better change up or their ball moves well. We do this in every day life about our body and our hair, but no one is YOU. Find what you do well. Know your strengths. Have pride in those strengths without comparison your strengths to someone else’s. It can be exhausting to compare yourself to someone else, so instead of easting the time doing that, spend time learning and recognizing your own strengths. Pitch to those strengths without comparing them to anyone else. Be you. Dear pitcher, block out any negative energy towards the umpires and errors happening behind you. Remember how I told you that YOU are never going to be perfect? Well, neither are they. Your teammates may even make 5 errors in one inning behind you, but you won’t be the only pitcher who has ever gone through that. I’m telling you right now that there are going to be times that you have to actually throw 6 outs in one inning. It’s happened to every pitcher. But it should not change your attitude and your teammates who just made the error(s) should feel like you still have their back. You are not alone and you are not the first pitcher in history who has gone through a never-ending inning. Hold your head high. Don’t let it effect your game. Work through it. Be your very best, and it’s at that time when I need you to be the best teammate. Dear pitcher, find a way to balance competing for a spot with support and compassion for the other pitchers on your team. You are all doing the same thing – working for the same team goals – never forget that. Turn any jealousy into respect and support for her when she is pitching instead of you. Wouldn’t you want her to do the same thing? She should FEEL your support. And when you get an opportunity for innings in the circle, you have to make the absolute most out of them – no excuses. You have to step up. You have to step up for your team and you have to step up for yourself. Remember, each pitcher has an important role. Take so much pride in that role and more pride in being a good teammate than unhappiness that you aren’t the one who doesn’t get the innings in the circle. When you do get those innings, you gotta rock’em. If you are a pitcher who gets lots of innings, never get complacent. there is always someone who wants your spot. Regardless of how many innings you have, every day work on being a good teammate, even if it’s towards someone who you are competing with. Finally, I want you to be the one who asks your parent to practice. Do not have them be the one who brings it up every single time. If this is what you want to do, you have to be hungry, you have to want it. You must consistently push yourself and allow to be pushed on the days where maybe you’re slacking. There will be those days where you may feel a little bit lazy. It’s normal, you are not alone. In those days where you can’t push yourself as much, have someone there to push you. Work as hard as you possibly can. Know that you are going to fail, but failure is not something to be scared of. Every single pitcher will fail at some point. You are not alone. Push that fear aside and have the belief in yourself be stronger than any fear that starts to creep inside you. No one said this was going to be easy. If you are a pitcher, it is something that you ARE 7 days out of every week. You work harder than anyone else on the team, you have more pressure on your shoulders than anyone else on the team, and you get celebrated more than anyone else on the team. The reason you do it? You can’t imagine your life without it. So have fun, smile more, and when you’re not sure what to do, take a deep breath and remember that you are not alone. Next postA Pitcher’s Confidence – Innate or Learned? This is very supportive!! I love this article so much. When I’m not having the best day pitching I will always come back to this article. Maybe print it off and keep it with you! thank you! you helped so much! Absolutely love this Amanda! My daughter is just starting to pitch and she is going through all these emotions, not only is this a good read for her but also for me, gave me a lot of insight on how I can help her work through these emotions! and what you and doing! Some future Olympic gold medal holder may be reading this right now. Sadly, Softball is no longer an Olympic event. That is probably going to change soon! What an amazing letter! Hope my daughter can live by these words of wisdom. Hey Amanda my name is Erika, and I am a pitcher. Is there anything you can do as a pitcher to stop yourself from continuing a practice when you know you are going through the motions? Maybe take a break, refocus and then get back to it! It’s really just a CHOICE though. Make a CHOICE to make every single pitch count. Thank you so much for sharing from your heart. It’s awesome to know that there’s people like you who genuinely care for the other pitchers/athletes out there by giving them a piece of your wisdom. I will share with my daughter, I know it will benefit her. Well said Amanda.Thank you again.Just read it to my 9 year old and although she still might be a little too young(maybe not)the pressures of success and failure to pitch at a higher level she was interested and asked questions when I was done reading to her.She is excited to start this year off with a bang and we will continue to follow you,watch videos through websites and FB,etc. and hopefully go to your camp one day.Thank you again. I am a pitcher’s mom and this is one of the best articles I’ve ever read! She has been pitching since she was 8 yrs. old, and she (we) has been through every scenario you wrote about, and at least once every game I hear myself saying to her, “Believe! Believe you can!” I will definitely be sharing this article with her. Thank you so much for sharing it! Mom told me to read read this and I’m a pitcher and I’m 11 years old.I can relate so much to, thank you for your inspiration and the good advise.Reading this Made me want to try even more than I do now.Every one tells me to do something different and I don’t know which one to do do and if I do the one I feel comfortable someone will most likely tell me to do it another way and I get so frustrated because it won’t go as strait as when I do it the way I feel comfotable.Thank you, you have inspired me to go with my gut. Are you crying? Are you crying? ARE YOU CRYING? There’s no crying! THERE’S NO CRYING IN BASEBALL! Great advise, thanks. Will you be having any clinics in the Houston area this Spring (2016)? No, not this spring! Maybe later this year with The Packaged Deal! Be sure to follow The Packaged Deal – that’s who I do all my clinics with! Hi my name is Camille. I just wanted to say that this was really helpful! Thank you!???? Hi Amanda my name is Rubie. I’m 13 years old and I’m a pitcher. I have been pitching since I was 7. My uncle is my pitching coach and he is teaching me the stlye of pitch that you do. He took a pictures of me pitching and compared them to you pitching and he said that after one day of teaching me I did really good. My parents wanted me to look you up and watch how you pitch and I just read your story and it honelsty really inspired me. I just want to say thank you and I hope that I end up to be as good as you. SO cool! Hi Rubie!!!!! Good luck!! Thank you so much. I read this to my 9 hear old. Hoping it helps her feel better about her pitching. I am also going to read it to her dad /coach. I always try and be positive for her and always on her side. Her biggest fan! All so true! My daughter is a D1 pitcher and read your story last night. She then sent the link to me. Thanks for sharing your story! It helps no matter how old you are or how long you’ve been pitching. This has come at the perfect time. Thank you for taking the time to write this note. The reality that you, her and every other pitcher struggles with are the same issues. I coach my daughter, and I always work hard on keeping it real, and this will be so helpful to share. This couldn’t have come at a better time for our family. Our oldest daughter has worked year round for many, many years to be the best pitcher she can be. Last year she was a freshman and it was very scary for her, as they made her the starting Varsity pitcher…but she took over and did her job very well. That was a lot of pressure but it earned her the Defensive Player of the Year Award. This year she is a sophomore and she’s again the starting Varsity pitcher. But this year, for some strange reason, her mind has taken over negatively with self doubt, and she’s struggled. We found this article and she’s read it today. This kid has dreamed of playing in college for years and works so hard year round and with our seasons, that isn’t easy. This high school season opened and now she’s struggling with believing in herself and she takes the whole game on her shoulders. I hope that after reading this today, that somehow, she can believe in herself again. I will say she’s always been an excellent supporter of her teammates and she’s always kept a positive attitude in the dugout…its just within the past 2 weeks that she doubts herself so much. It’s effected her hitting too. 🙁 Thank you for taking the time to put into words what so many pitchers need to hear. The mental is just as important as the physical and watching her struggle and how sad she is thinking she’s failing….I can see the effects a when a pitcher struggles mentally with self doubt. I will keep this article on hand and hope this helps her get back to her cheerful sweet self. Thanks again! Thank you for these empowering words. This is my daughter’s first year being the designated pitcher, playing up in 14u as a 12yo. Last night’s game was very hard. The opposing team won and trash talked her the whole game, calling her stupid and other derogatory names. We could all see that she was upset which just fueled their fire. This was an important life lesson for her. Being respectful trumps talent. You can have all the talent in the world, but if you are trash talking, then all your talent is for not. Winning by calling others names and belittling people isn’t winning – it’s the greatest loss of character that one can do to themselves. My names Hannah and I’m 13 years old. I have always loved pitching. When I was 9, I went outback and taught myself how to pitch from videos off the Internet, watching my sisters softball games etc. About 2 years ago I started getting acutal pitching traning. I always thought that pitching was so easy, but it’s not. Right now I’m in a huge slump and I am in a really important time for pitching. (I am the only pitcher for spring ball and travel ball is starting up) Today I felt like no one was there for me when I was struggling on the mound. I felt like I was all alone. After my game I went home and cried. I felt like 2 years work went to waste. I then read this article and it really boasted my confidence. I now realized that I’m not alone in this. I’m going to have my on and off days. Yes, pitching is defiantly a bumpy road, but I know I can make it. LOVE THIS Hannah! Thank you! I just liked what you said. I am a young pitcher, and struggle with my confidence. And what you said really did help me THANK YOU VERY VERY MUCH!!!!!!!! You are one of my daughters biggest role models. She has had several lessons from Savana Lloyd. We would travel 2.5 hours to the lessons and 2.5 hours back home. Her other biggest role model. My daughter Haley is a freshman in high school. She had some hard loses in preseason where she was upset and crying. I told her its ok if you don’t want to play anymore it’s a lot of pressure for someone so young (14 at the time) standing up there all eyes on her expecting strikeouts and representing her high school. All of the older girls watching and the pressure of being chosen for that position. The only freshman on Varsity. We have had a lot of people from our town and the high school come out to see this team play. They are one of the best softball teams we’ve had in our small little town of Yucca Valley. We have great coaches and These girls stay after their 2 hour practice is over and practice more. They are all friends and have played softball together over the years since they were about 10 years old. Haley was determined to improve and not quit. She worked with her sister Madison(her catcher) on mechanics, watched videos of you and videos of her lessons with Savana. She went out and gave it everything she has, at every game. Haleys team is now undefeated in league play 7-0. They have beaten a rival team that is always the league champion by a score of 3-2. I am so in awe and proud of both my daughters and this whole team of girls and how hard they work. They know they still have a lot of improvements before they are ready to play in college but they work hard everyday. I want to thank you so much for putting out these articles and to let you know it has a huge impact on young girls that love softball and as a mom I am so appreciative. Hi Amanda! I’m a college pitcher and this letter has hit home for me multiple times this season. Lately, I’ve been doubting my release point, especially for inside pitches, which has decreased my confidence on the mound. I’m also walking more people this year than normal due to these self doubts. Is there any mechanical advice you have to overcome this? I don’t want to believe I have the yips. Also most people say to just let it go and don’t think so much, but that is easier said than done. I’m going to write down some of the things in this letter on a notecard and bring it with me to games. Maybe I just need some constant positive reminders with me. Thanks so much! I know I am not the first to say this, but I also know that I won’t be the last… Thank you for your support and understanding. I am a starting varsity pitcher on my high school’s team, without a pitching coach. I work with my dad in the offseason to improve and during games, I am the only one who can identify problems when I struggle. Sometimes I really do feel alone. I can relate to every point you make in this article, and I know I will be a better player by acknowledging I am never alone. Long story short, this article really hit me hard. Thanks. I really enjoyed reading this , it helped me a lot !! Thank you so much! Pitching is very stressful at times especially when you’re a senior and you just want to end your senior year off great but every mistake that takes place on the field you feel is because of you, trying so hard to fight back tears then the worst part is actually getting out of that mind set and trying to make that adjustment because although its a team you cant only play for them you have to play for yourself and I really needed this going into college in the fall. Thank you so much for writing this article. Every time I have a problem, I come back to it and I can find the exact paragraph where I’m struggling and read it whether it be my parents or competing with teamates. Thank you so much for creating that for me!!! Awww I love that!!! Thank you! 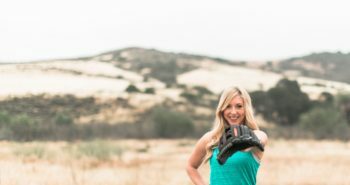 Hi, my name is Kim and I love this article, it inspires me to be my best at this sport and at pitching. I was struggling so I quit but saw that that was a big mistake. My dad pulled this article up for me, and i got back into it and i am good. Thank you for righting this article. This is EVERYTHING! I can’t wait to print this out and read it to my daughter. It is so on point I can’t even express how much it is on point. THANK YOU! My daughter is 10 and loves to pitch, but she doesnt want to practice outside of her team practice once a week. How can I get through to her that she needs to practice? 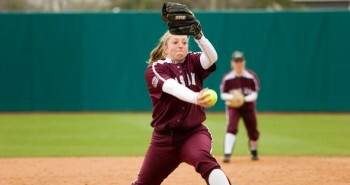 She is her teams main pitcher at this time and could be really good with practice. Any advice would be greatly appreciated. Oh man. This is an older article that I’m just coming across today, and couldn’t have seen it at a better time. I’m a pitchers mom. Season opener last night and just seeing the bundle of nerves turn into frustration and disappointment on the mound before my eyes broke my heart. Hearing the heartbreaking words: she’s better than me anyway (referring to our other pitcher). Trying to get her to believe in herself as much as I believe in her. Trying to find a way to get her out of her own head on the mound during a game. Bet, I’ll be reading every single word of this to her after school today. I’ll just be sure to keep the Kleenex close by. Thank you for saying exactly what I couldn’t find the words to say.